The Indiana Space Grant Consortium helps launch interest in science, technology, engineering and mathematics (STEM) disciplines for elementary students to graduate students. Hosted at Purdue since 1991, the consortium is part of the National Space Grant College and Fellowship Program, a national network funded by NASA to inspire interest in STEM programs. According to Barrett Caldwell, director of the consortium and professor of industrial engineering, the initiative's main focus is "making opportunities available to students and encouraging them to pursue NASA-related STEM education." Though centrally located at the West Lafayette campus, the consortium also has academic affiliates at 14 other universities and regional campuses in Indiana. Of the nearly $575,000 annually provided by NASA for the program, the consortium uses most of the money to provide scholarships to undergraduate students in STEM fields and support student-led programs. Many of these scholarships fund summer research and internship programs at NASA centers such as Johnson Space Center in Texas, the Ames Research Center in California and the Marshall Space Flight Center in Alabama. The consortium also supports programs for elementary, middle and high school students. 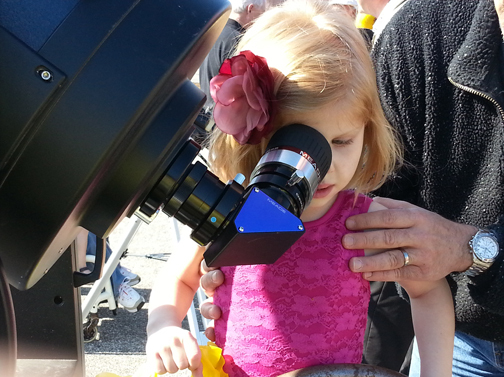 One such program is Purdue Space Day, a program hosted by Purdue students for students in third through eighth grades. The goal of the program is to spark an interest in STEM subjects in young students and give them the chance to meet an astronaut. However, the program also offers opportunities for Purdue students to learn and develop leadership skills. "The Purdue students have the opportunity to be mentors and role models for the elementary and middle school kids, which is one the things that is really powerful," Caldwell says. "The University students get to have this sense that not only are they learning something, but they're also paying forward to say, 'How can I help inspire other people?'" Scholarships for undergraduate STEM research through the Discovery Park Undergraduate Research Initiative (DURI) and the Summer Undergraduate Research Fellowships (SURF) programs as well as preparation programs for underrepresented minorities and women are also projects the consortium supports. NASA is involved in many STEM areas other than space exploration, including weather and satellite communication systems. Caldwell says the consortium promotes all career opportunities available through NASA, many of which affect the daily lives of Indiana residents. "NASA is a mission agency, and people think of astronauts and telescopes, but we're so broad and influence so much of what Indiana residents care about every day," he says.